Stephen Parr, founder of Oddball Film+Video has a long history of presenting and archiving the unusual. Since the 1970s Parr has produced and documented live performances of John Cage, Christian Marclay, Nam June Paik and The Ramones, screened his signature pop culture montages from the Danceteria in New York to the Moscow Cinematheque and created found footage based films such as “Historical/Hysterical?” and “Eurphoria!” which have screened worldwide in venues such as The Anthology Film Archives in NY, Jaaga in Bangalore and the Leeds International Film Festival. 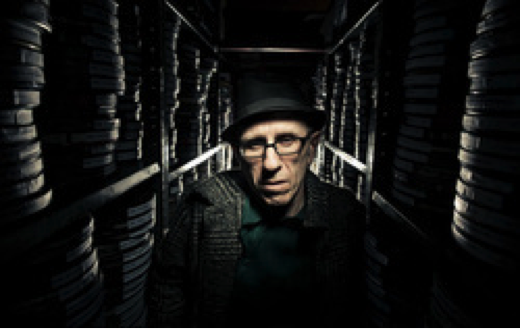 His company, Oddball Film+Video, the largest film archive in Northern California, has supplied eclectic footage for countless feature films, documentaries, music and media projects worldwide. He curates an eclectic weekly film series-Oddball Films- at his archive and is a frequent presenter at film and media seminars and symposiums. He is an active member of the Association of Moving Image Archivists. He is also the director of the San Francisco Media Archive, a non-profit institution dedicated to the acquisition and preservation of culturally significant film and related media. The SFMA has received numerous preservation grants from the National Film Preservation Foundation, hosts the Center for Home Movies Annual Home Movie Day and has served as an archivist training and research center and provided footage for numerous academic and broadcast projects.